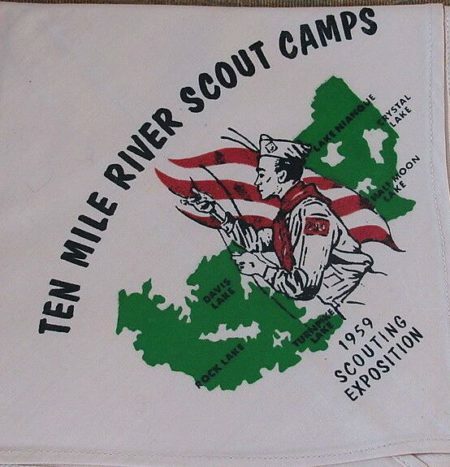 While the image shown below was for a Scouting Exposition held at Ten Mile River Scout Camps nearly 60 years ago, they can still be seen regularly today. The image depicts a scout raising a flap superimposed over the outline of the Scout Camps with the 6 lakes which are part of the reservation. Does anyone know the details of when the Exposition was held and what it entailed? « Camp Manhattan 1954 ‘R’ Staff Neckerchief.